It is rumored that during a trip to Havana a few years ago, Hemingway’s granddaughter Mariel said, “Cuba has three iconic personalities – Fidel, Che, and my grandfather”. That is certainly true. In Havana, Hemingway is everywhere, in all shapes and forms, but mostly alcohol-related. Of course if you are Hemingway and announce the place where they make the best Daiquiri and Mojito, it is inevitable that heaps of devotees will keep following in your footsteps, even decades later. As soon as we enter Old Havana, we see an alley where a crowd is taking pictures in front of what seems like an unremarkable establishment, covered in scribbles and declarations of love from all over the world. 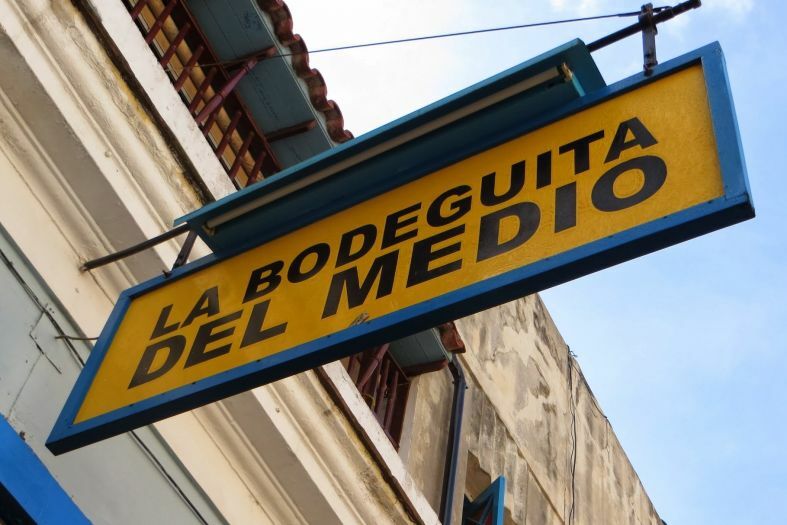 When we figured out that this was La Bodeguita del Medio – the place where Hemingway loved to sip his Mojito, we also quickly learned why tourists here pay a steep price for that same drink. In fact, here you ll find the priciest Mojito in Cuba. Hemingway preferred his cocktails stirred with Cuban rum, which is the beverage that made Mojito and Daiquiri famous. 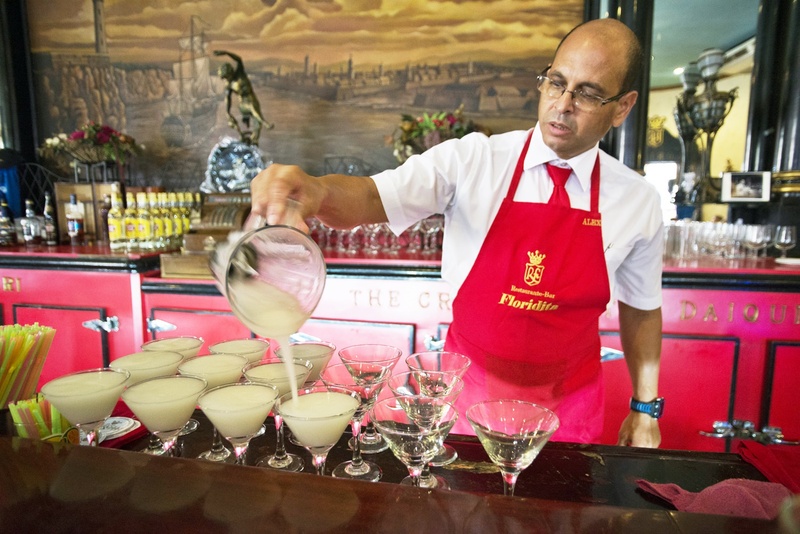 Since we mentioned Daiquiri, El Floridita is another iconic location where the writer enjoyed his cocktails. Once again, the prices here are sky-high and there is often a line of people waiting to get in. 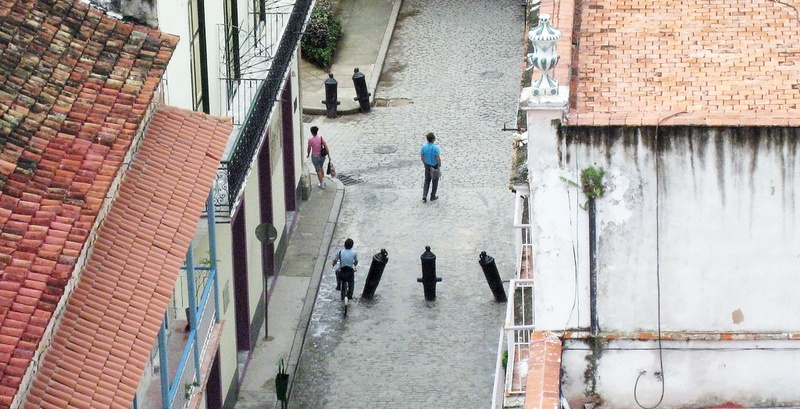 Young Cuban men linger at the door, trying to convince female tourists that they can get them a table in the restaurant, in exchange for a treat. Of course these are empty promises. If you are a fan of Hemingway’s works and lifestyle, you simply must include those two establishments in your tour of Havana. Both house a cocktail room and a restaurant. Although Hemingway preferred to drink alone, unnoticed and in full seclusion, his favorite places are now overflowing with tourists. Are you already imagining the spirit of Hemingway resurrected within you? Then the next stop in your expedition is the Ambos Mundos Hotel, which served as the writer’s home for 7 years during the 1930s. Room number 511 is now a mini-museum you can visit during the day (you may be Hemingway s reincarnation, but they are still not going to let you spend the night). The room’s interior has been arranged to create the impression that its most famous inhabitant has just left. The writer’s home address might have been a hotel from 1932 until 1939, but he then bought a house 10 km away from Havana. His mansion, called Finca Vigia, is in the small working-class town of San Francisco de Paula. Hemingway chose to live in an ordinary place, among the common people, with whom he liked to go fishing. The Cuban people have always respected him for this choice. Today the house is open for visitors (although it seems to close regularly for renovations). It is open every day from 10:00 am to 4:00 pm and on Sunday from 9:00 am to 1:00 pm.